My 1964 4001S restoration project is now finished thanks to Larry Davis and many other people who helped me by selling me period correct parts (give or take a couple of years... pretty noticeable in the case of the TRC which is from 65 with a rounded apex compared to the sharp ended apex TRC from 64). It was probably a lousy investment but the moral gratification of bringing such a rare bird back to life is priceless. Congratulations Colonel. 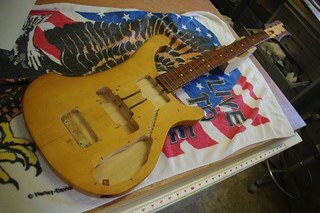 Sure vintage projects cost a sum, but yes there is some great satisfaction and pride in restoring a vintage instrument. 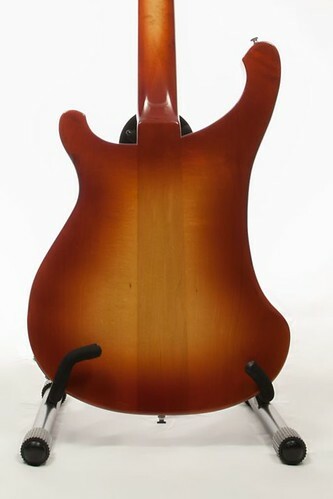 The bass now looks amazing, you did a very decent job on the finish. Did you do the spraying yourself? 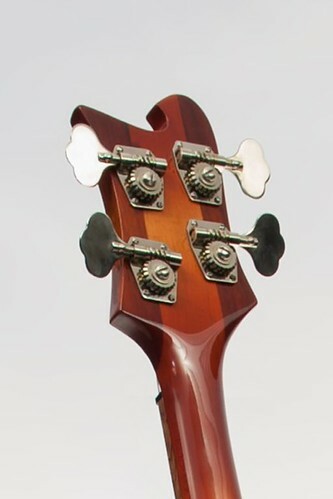 Living in a microscopic townhouse in the Perth CBD, I would have had the room to do a poor job with a rattle can... Larry Davis from Davis Guitar Works in Florida did the restoration work. 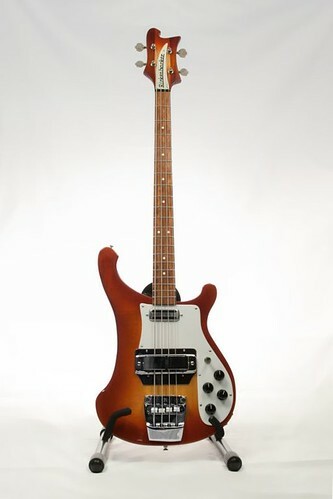 The bass is on its way to me now. Yeah, nice mirror finish done by Larry Davis. It sure looks showroom new. Colonel. 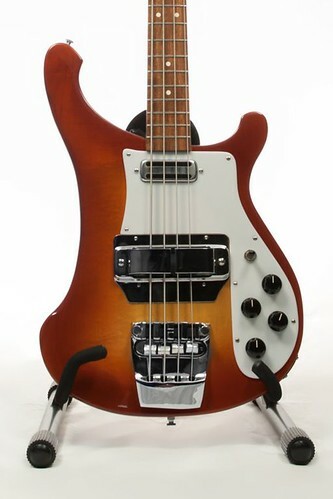 What about the pickups, are they vintage or new toaster and horse-shoe?? Not sure why you had a problem with a seller over the TRC! Maybe he has some solidarity with the brand, I'm glad you persuaded him to part with it, I'm mean it went to a top project which turned out perfectly. It's a form of conservation. So you should feel proud. Send him a picture to calm him down. I wonder has anyone compared a vintage horse-shoe to a new, curious about how much real difference in it. It is a "half-vintage" horseshoe. The horseshoe magnets are from 63 but the bobbin is a repro from Sergio Sylvia. I bought another horseshoe from 68 for my 68 restoration project. I would guess there must be quite a difference as the modern horseshoe is hotter and the horseshoes are more decorative than anything else. The toaster is a 65. 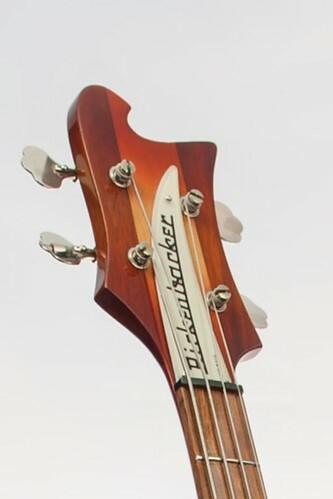 The tuners are anything between 64 and 68. For the TRC, someone in the US had to purchase it on my behalf. The salesman was just being difficult equating anyone outside the US to a Nigerian scammer. BTW, the fretboard was replaced by Larry. The original fretboard was most likely replaced many years ago. The poor soul who replaced it did an horrible job. You should be very proud of taking such a mess and turning it into playable history! 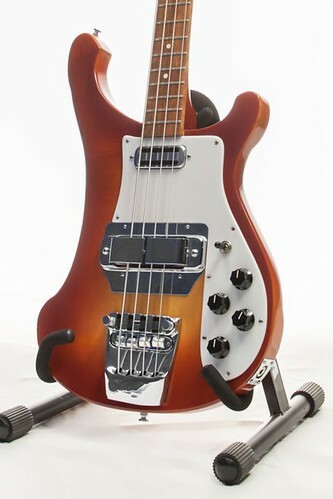 Ricks are so unique in so many ways, and with so few having been made at the time of your bass, worthy of the restoration it needed. You are to be commended for your commitment to excellence in every detail! Bravo!! But hey, who are you referring to for plate restoration. I need to make my white CA plates pretty again.